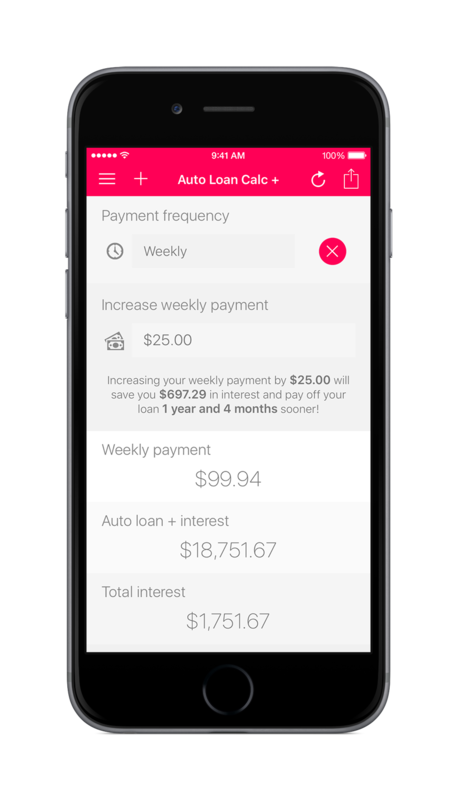 Auto Loan Calculator + for iOS is the quickest and easiest way to calculate your weekly, bi-weekly, and monthly auto loan payments. 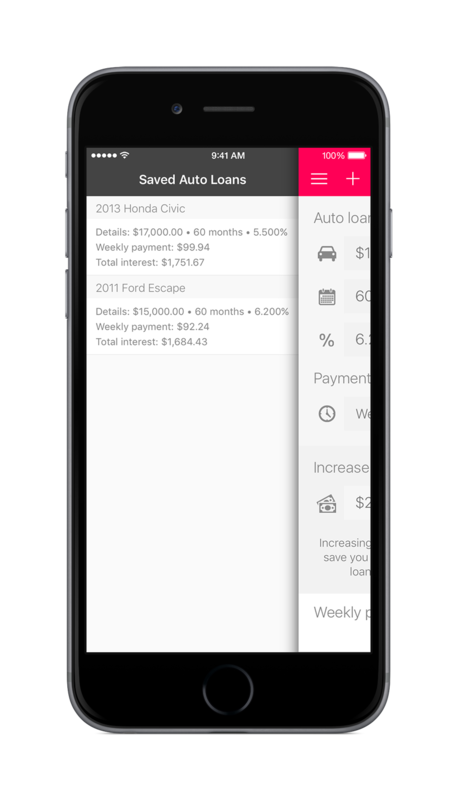 This app is perfect for auto salesmen, financial advisors, bankers and anyone who currently has an auto loan or is in the process of getting one. 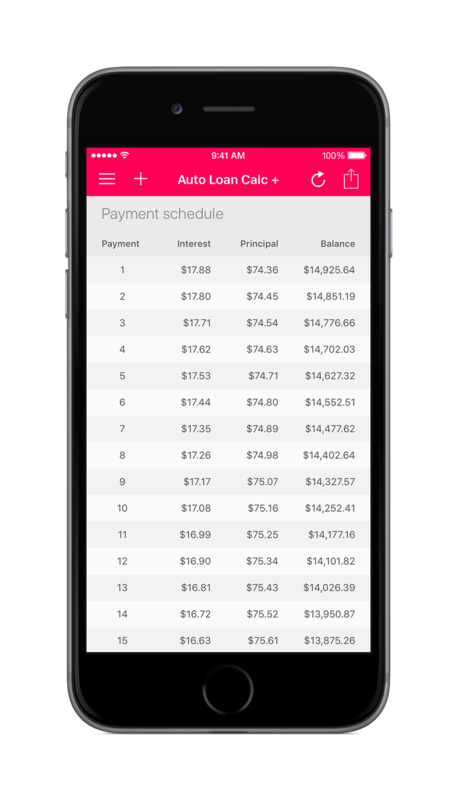 Beautifully designed and accuracy you can bank on, Auto Loan Calculator + for iOS is one of the best apps of its kind! 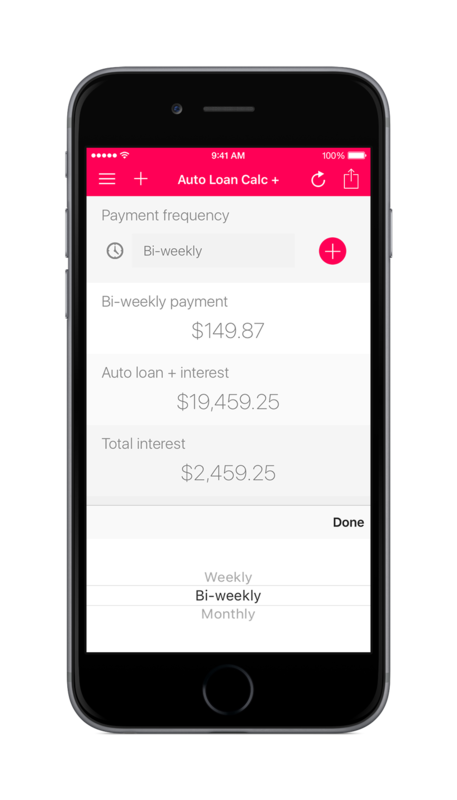 While many other auto loan calculator apps only calculate monthly payments, with Auto Loan Calculator +, choose from weekly and bi-weekly payment frequency options as well! How much could you save on your auto loan by increasing your payment by $25? Or $50? No need to enter your auto loan information more than once. Just hit save and that information will be available next time you open the app. 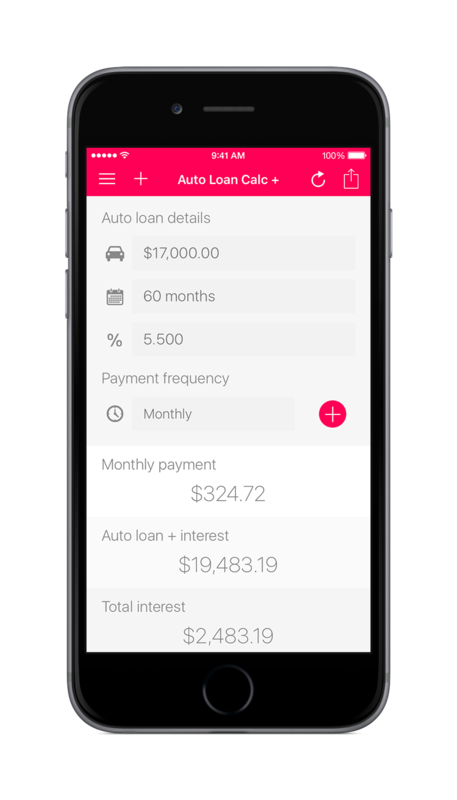 Also, compare saved auto loans and see what length, interest rate, etc. is best for you! A detailed amortization table is generated to show you just how much of your payments go towards interest and principal. Very clear cut app and easy to use. Good job on the updates, it really helped. Works like I wanted! Simply awesome with great new features! I'm glad you added this feature. Super useful app! Clean and user friendly, very clear and simple breakdown of my car payments. Well worth it.